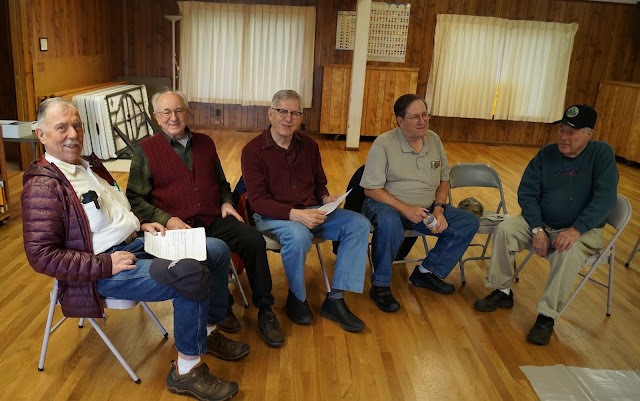 Veterans at Shoreline's American Legion Post 227 got free haircuts on Thursday, January 18, 2018. 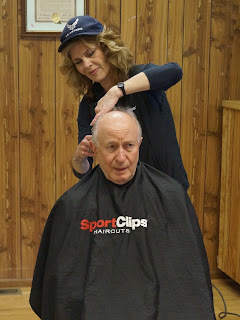 Vice Commander Larry Fischer gets a trim. SportClips at Lynnwood's Alderwood Plaza provided the barber, Kari, who gave Vets haircuts by appointment thru the morning and into the afternoon. SportClips has donated over one million dollars to various Veterans organizations recently. American Legion Starr Sutherland Jr. Post 227 is located at 14521 17th Ave NE, Shoreline, WA 98155.